#043 – What Does It Mean to Love Your Man? Many of us have heard that over and over again, but what does that mean? I coerced convinced my husband to join me for a podcast after so many of you have asked me to chat with The Mister on the show. Join me and my man for an authentic conversation about what love and respect means for him in the context of our marriage. 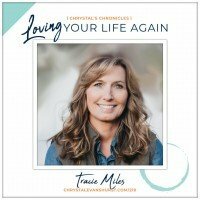 This is not what you should listen to if you are looking for a perfect marriage where two people have everything figured out and have done lots of things right. This is a little of what we’ve done right and plenty of what we’ve done wrong. While we don’t have all the answers, we’ve certainly been married long enough to have a few tips to share with you. 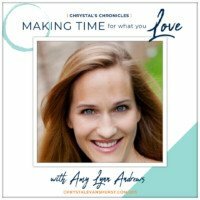 I think my main take away after this chat with my hubby in front of a microphone is that we each have the power to affect the tone of our relationships. So many of us spend time trying to get or even demand what we think we need from them. The key is really to do our best to love them well and see what sprouts up in the soil that we water. Now, I’m not saying that as a woman you should have no self-respect, personal sense of value, or healthy boundaries. 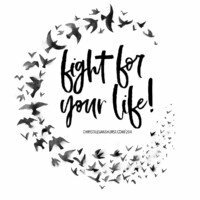 What I am saying however is that I have seen more damage done when individual fight so hard for their own rights to have their needs to the detriment of the relationship and to the individual that they claim they love. It’s about your focus. When you focus on your personal frustration alone, you might actually be stealing or even hording the love, honor, or appreciation your spouse needs. 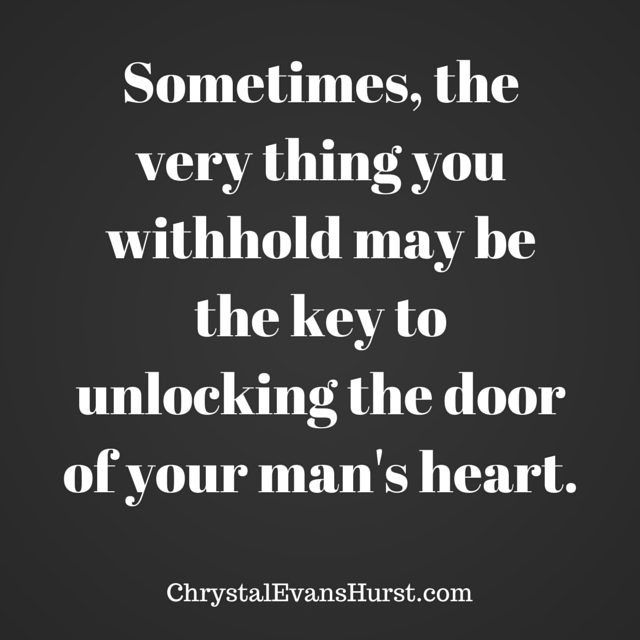 And sometimes, the very thing you withhold may be the very key to unlocking the door of your man’s heart. 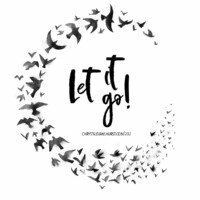 A word to the wise from a woman who knows… Be careful about being caught up in your own frustrations. You may be shooting yourself in the foot. 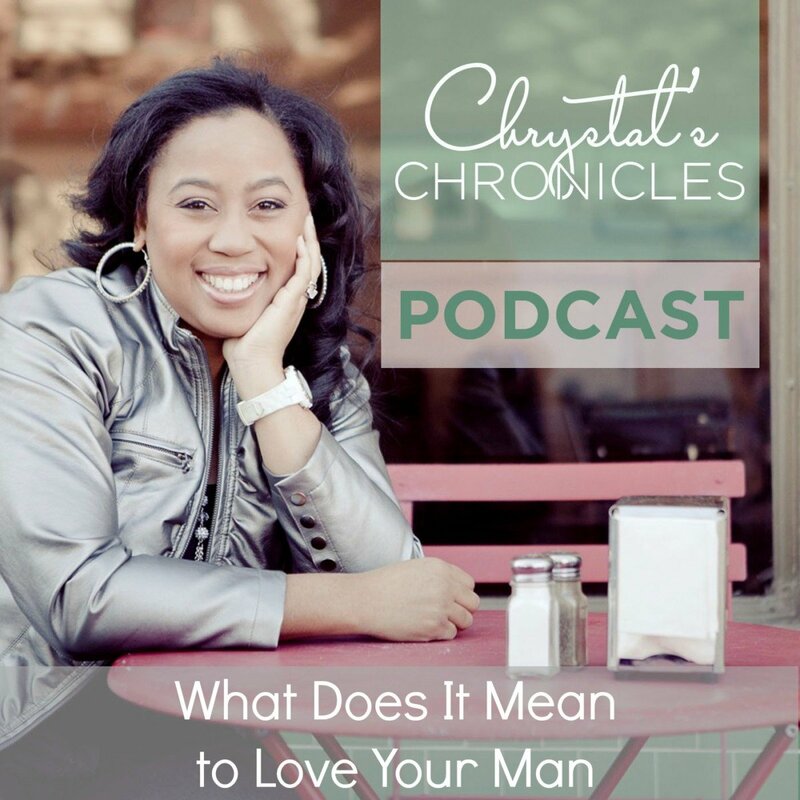 Join me today as I reflect on what it looks like to love your man. Show respect. Don’t tell. Try asking questions. Watch your tone. Try to keep your communication level and un-emotional and see how that works. Mutual appreciation and support goes a long way for filling your spouse’s love tank. Would you like to interview your husband and peak into his heart? Take a look at these 10 Questions Every Woman Should Ask Her Husband Every Year. Need some help with what to talk about on date night? Try these conversation starters from Family Life or these from the Unveiled Wife or these date night questions from Proverbs 31 Ministries. Do you and your spouse need a weekend away to “fan the flame”? Check out a Weekend to Remember. What was helpful to you after listening to today’s podcast? What have you learned in past relationships or in your marriage about loving and respecting men? What is the most difficult part for you when it comes to loving your man well? Wow, it’s just after 9am here in cape town, and a first for me to get a podcast so early.ive spent valentines weekend alone with the kids as hubby is on a work assignment in Kenya. Gonna sit back now, and listen with anticipation , so that I can apply some things when he gets back. Menopausal moods does not make me a nice person to be around sometimes. Glad u enjoyed it Shametra! Glad it was helpful. This was great! I try to explain to my friends who struggle in their marriages all the time this very point. You must stay focused on trying to love unconditionally and trusting that your partner is doing the best they can. I believe that if both are consistently trying to do their best and give grace to one another; the relationship will be stronger. No one is perfect. Great points and insights. Thank the Mr. For sharing his point of view. It was helpful to know that whatever effort it may take to change the tone or show respect is worth it if it makes my husband feel loved. Even though I’m positive that he knows it, I certainly can do a better job of showing in that he’s loved and appreciated. Thanks for another great podcast! Dear Chrystal & Jesse: Thank you so much for your transparency. I can’t believe how much you both sound just like my husband and I. He is extremely laid back like Jesse and I’m sort of all over the place as you Chrystal. I am driven and my husband is totally a patience and wait person!!!! His pet peeve is also my listening to 2 or 3 people as Jesse mentioned. You all shared so many points, so I won’t elaborate on them all. Praise God that we have been married 30 years in June Lord willing and we are still a work in the Master’s Hand. 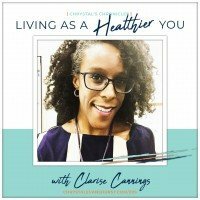 I have recently started listening to your podcast and I love it! The part about giving time to process is really good for me to hear. My husband takes longer to process than I do, and often times he has greater insight and thoughtfulness because of it! I will definitely be praying that God would give me the patience to give him some time to think. I listened to your podcast. It help me to understand that don’t show a lot of love. What a fun podcast. You asked such great questions and Jesse did a great job answering. Hilarious how he signed off at the end. Great podcast! My husband is very laidback, and at times it drives me crazy. I understood Jesse’s viewpoint. I am becoming more mellow which I think is a true part of myself. I wasn’t sure what marriage was therefore I was pretty intense in the beginning. I appreciate your podcast. It was enlightening and helpful. As a single girl it was great to hear both of your perspectives on things before and after marriage! Thanks for all the great info that I can use to avoid making mistakes in the future!! Really enjoyed your podcast! Unbelievable that your Mr. would agree to answering the questions. I know you are proud of him. I think it speaks volumes of your marriage. Love to hear about wives that react quickly on decisions and have husbands that want to wait and think further. This use to drive me crazy with my husband, but I have found he generally makes the best decisions. 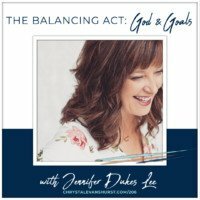 I think this podcast was very helpful and I enjoy each one. God bless you for all you do. As I listened, all I could do was laugh. It was as if you were talking to my husband! Your key take away points are on target. My husband is SUPER sensitive when it comes to tone. He will stop me mid sentence and quickly address my tone. I also learned early to ask him to just listen and not give advice if I simply needed a listening ear. I appreciated both of your comments on how to be more supportive of one another. Sixteen and half years and we still have much to learn!!! Thanks for your insights and the wonderful conversation. Wow this was AWESOME Chrystal! I LOVE your transparency; Jessie’s too. It is sooooooooooooooo endearing and a breath of fresh air. A massive thank you for doing this. 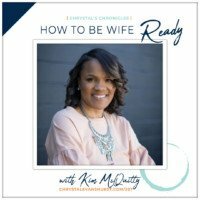 It’s exactly what single women like myself need to hear to better prepare for marriage. Even though your husband was brutally honest (actually you both were), he comes across as a very, very sincere and kind man, who loves you dearly. Btw, the brutal honesty or better yet spirited banter is what I loved most about the podcast. Hoping that more married couples with some sort of platform (or not) will follow in your footstep and allow us to take a small peak into their (marital world). BRAVO!! I absolutely loved this!! Thank you for the glimpse into your marriage and Jessie’s mind. As a single/dating lady, its refreshing to hear this “insider” information. I didn’t realize quite how much asking for his opinion, instead of telling him what I planned would make a difference in a conversation– I ran a little “experiment” the other day and it made for an insightful conversation– and I was surprised at how above and beyond he went to help me make a decision! It was also great to hear Jessie’s take on the tone of voice used. I already knew that I can have an attitude with him, ESPECIALLY when I’m offended; but what I didn’t realize was how big of a conversation deal breaker it is to him, which explains the response/lack of one I get sometimes. INSIGHTFUL!!! 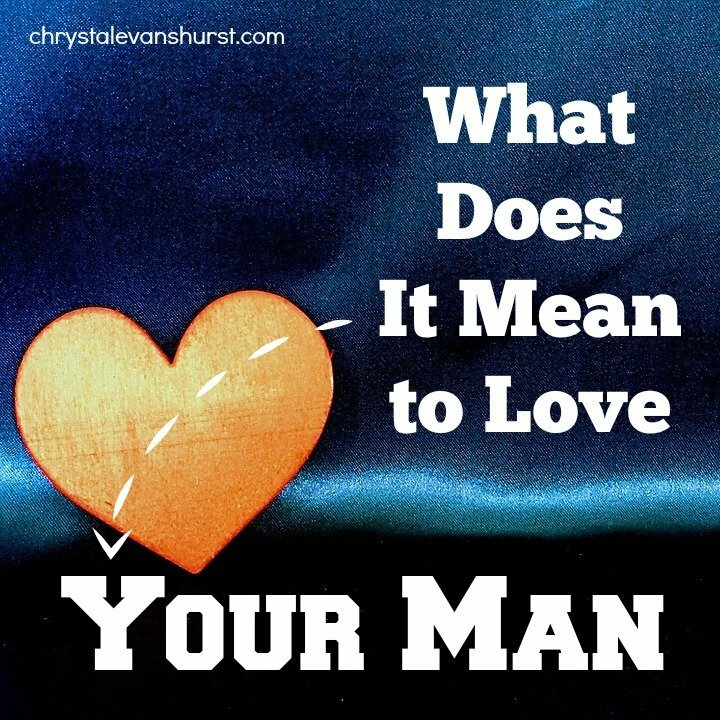 Thank you Chrystal and Jessie for taking the time to share the “truth” about what it means to love your man. Your calm and thoughtful chat was refreshing and revealing. A friend recently shared the link and it has been a blessing to my ears and my heart. As you spoke I was able to reflect and find understanding, on another level, in my own marriage. I ithink the thing I will value most is to know these stages and phases are common within marriage… it’s what one chooses to do with the information that makes all the difference in the world. 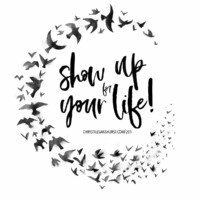 Tone, respect and support – I get it… my words will either build a house or tear it down! Often, we give the world our best and our spouse the rest. Thank you for helping me to see I am focusing on myself and speaking out of my own frustrations rather than voicing how much I appreciate and admire my wonderful husband. Again thank you… I really enjoyed the duet! Thanks for this podcast! Loved your husband definition of how you completed him. I also appreciated your explanation on the steps you took to apologize to your husband when you felt you were wrong. 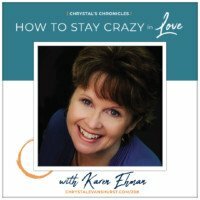 This is a great podcast for singles wanting to hear the truth about loving your mate. Thank you to you and Jerry for sharing your thoughts are this subject. As a single girl, I enjoyed hearing about things that can help me in my dating prospects. However, it’s a drought at this time…but I’m reading books to help me for when God brings men into my life for those prospects. I came over from Encouragement for today. I liked the podcast. My husband and I have been married for 24 years and I really like the way both you and your husband could laugh together. You readily accepted your faults with humility, and your husband was honest in a direct, kind way. You both were transparent. Your tips are very good. Tone…yes, still working on that. Have a second family after raising our first round. You’d think I’d have that down by now. 🙂 I, after hearing you both discuss this subject, have to really pay attention to my tone, I am again with kids all day. I also have to work more on focusing on what my husband is doing, and appreciative what he is doing instead of forgetting his pressures, and so frustrated with mine. Very, very good information. Thank you! This was a great read and really encouraging as the female counterpart in my relationship. However, is it bad that I’m looking for a “What does it mean to love your wife/woman” post? I don’t want to make it seem like he’s the one at fault, but I want to give him some guidance because he seems lost on how to love me back. This is very helpful and useful and authentic. I’m single and this definitely opens my eyes to what’s important to a lasting marriage and the man’s point of view and the ways a man wants us to actually show love/respect! And figuring out some of these touch points during dating/courtship. Really, thank you. 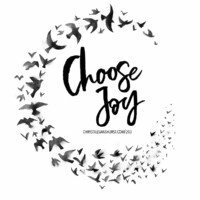 I appreciated your P31 devotion today (9/2/16). I just listened to this podcast. I appreciate the openness and honesty you and your husband shared. After 17 years of marriage, me and my husband still struggle with this. Hearing your husband’s point of view gave me clarity around how I treat my husband. Thanks for sharing how you had to make a concerted effort to take interest in things he was doing/enjoys. Looking forward to hearing more of your podcasts. PS. Did I say he plays video games real good though and eat n sleep.. .